This is post is part of a multi-part series on how we demolished our master bathroom and re-built it with quality materials and great design. 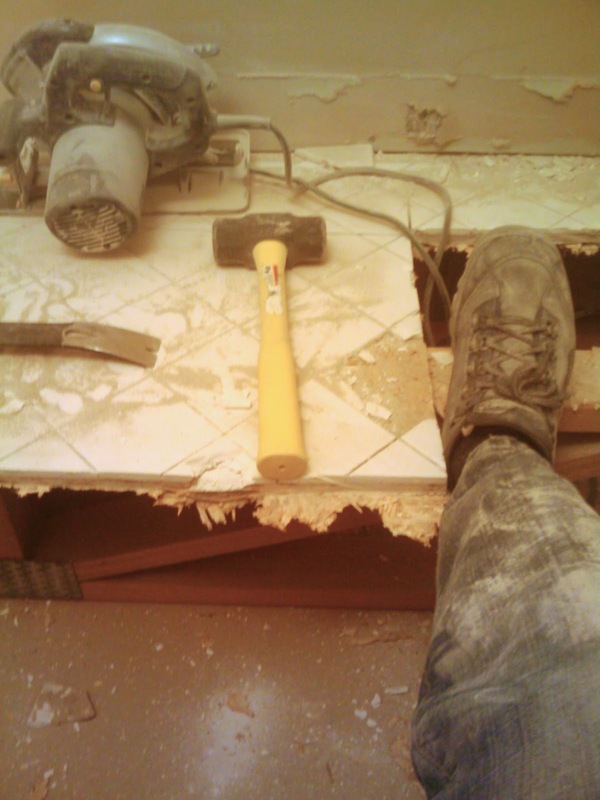 Undertaking any home renovation can be a daunting task. Saving thousands to do a bathroom project yourself rather than hiring out the work is very alluring, but you have to have the ability to learn multiple trades, building codes, and most importantly, have the time to complete the project. Jeff and I started renovating the master bathroom in 2011. Yes, we realize its 2013 right now, but as stated earlier, having sufficient time to dedicate to the project is really helpful. The bathroom was original to the house and it needed a complete redo thanks to a leak misdiagnosis from several contractors. Given the age and condition, we decided to "just" entirely renovate it. I am talking bare bones, joists exposed, new subfloor, drywall, tile, plumbing, vanity and sinks, all while leaving the cast iron bathtub in place! While near total demolition was a mess, it provided a great opportunity. Since we were doing the work ourselves, that left far more budget for tile and beautiful fixtures and sweet upgrades. Before we get into the varying steps, here are a few pictures of the demolition process. It's a shame we didn't document more of the "before". There were no instagram filters added, it really was that dusty! 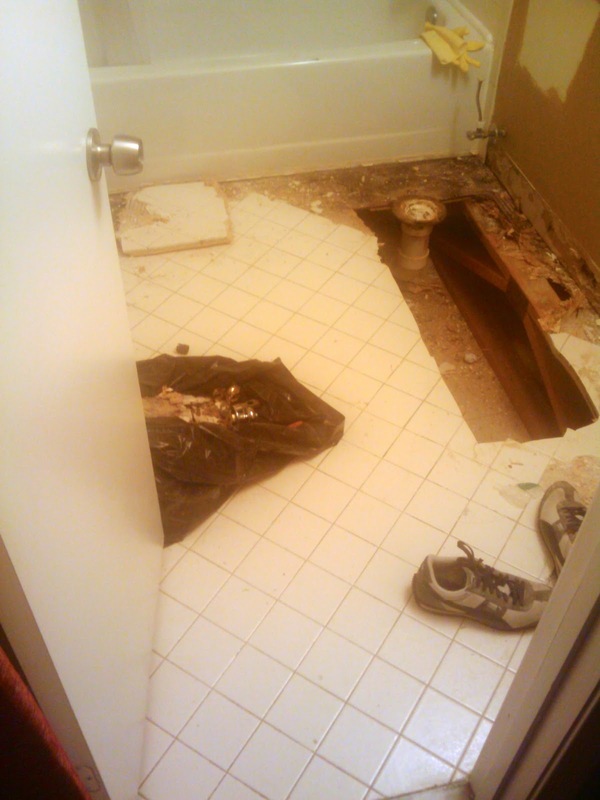 The subfloor under the tub was actually in good condition! No damage to the joists either. We cleaned up as much debris as possible in case we or the next owners ever needed to cut into the ceiling from below. The saw works better than the hammer and chisel. Don't fall through the ceiling! It is hard to imagine the finished product when it looks like it did, but seeing it finished makes it all worth it. Stay tuned for more how-tos, helpful hints, and pictures to come.